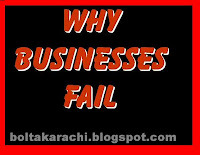 agriculture export of pakistan: Why Businesses Fail . One of the least understood aspects of entrepreneurship is why small businesses fail, and there�s a simple reason for the confusion: Most of the evidence comes from the entrepreneurs themselves. 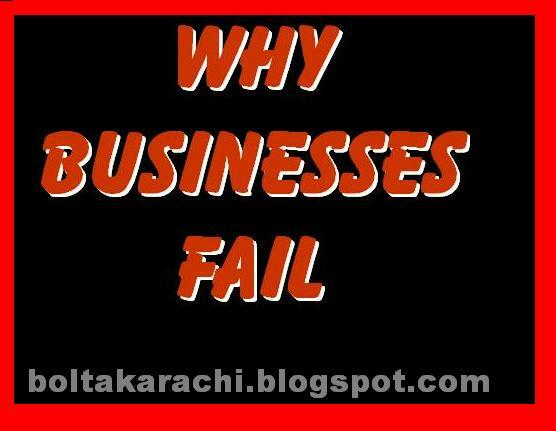 I have had a close-up view of numerous business failures �including a few start-ups of my own. 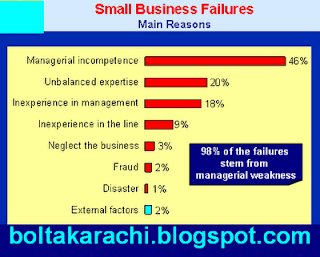 And from my observation, the reasons for failure cited by the owners are frequently off point, which kind of makes sense when you think about it. If the owners really knew what they were doing wrong, they might have been able to fix the problem. Often, it�s simply a matter of denial or of not knowing what you don�t know. In many cases, the customers � or, I should say, ex-customers � have a better understanding than the owners of what wasn�t working. The usual suspects that the owners tend to blame are the bank, the government or the idiot partner. Rarely does the owner�s finger point at the owner. Of course, there are cases where something out of the owner�s control has gone terribly wrong, but I have found those instances to be in the minority. What follows, based on my own experiences and observations, are the top 10 reasons small businesses fail. The list is not pretty, it is not simple, and it does not contain any of those usual suspects (although they might come in at Nos. 11, 12 and 13). 1. The math just doesn�t work. There is not enough demand for the product or service at a price that will produce a profit for the company. This, for example, would include a start-up trying to compete against big companies and its economies of scale. 2. Owners who cannot get out of their own way. They may be stubborn, risk averse, conflict averse � meaning they need to be liked by everyone (even employees and vendors who can�t do their jobs). They may be perfectionist, greedy, self-righteous, paranoid, indignant or insecure. You get the idea. Sometimes, you can even tell these owners the problem, and they will recognize that you are right � but continue to make the same mistakes over and over. 3. Out-of-control growth. 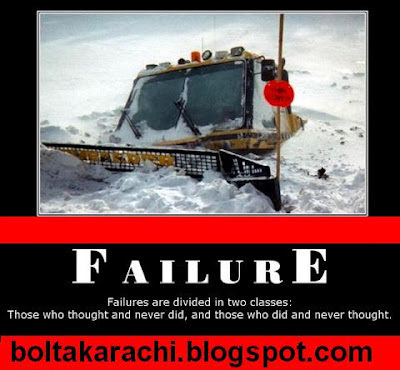 This one might be the saddest of all reasons for failure � a successful business that is ruined by over-expansion. This would include moving into markets that are not as profitable, experiencing growing pains that damage the business, or borrowing too much money in an attempt to keep growth at a particular rate. Sometimes less is more. 4. Poor accounting. You cannot be in control of a business if you don�t know what is going on. With bad numbers, or no numbers, a company is flying blind, and it happens all of the time. Why? For one thing, it is a common � and disastrous � misconception that an outside accounting firm hired primarily to do the taxes will keep watch over the business. In reality, that is the job of the chief financial officer, one of the many hats an entrepreneur has to wear until a real one is hired. 5. Lack of a cash cushion. If we have learned anything from this recession (I know it�s �over� but my customers don�t seem to have gotten the memo), it�s that business is cyclical and that bad things can and will happen over time � the loss of an important customer or critical employee, the arrival of a new competitor, the filing of a lawsuit. These things can all stress the finances of a company. If that company is already out of cash (and borrowing potential), it may not be able to recover. 6. Operational mediocrity. I have never met a business owner who described his or her operation as mediocre. But we can�t all be above average. Repeat and referral business is critical for most businesses, as is some degree of marketing (depending on the business). 7. Operational inefficiencies. Paying too much for rent, labor, and materials. Now more than ever, the lean companies are at an advantage. Not having the tenacity or stomach to negotiate terms that are reflective of today�s economy may leave a company uncompetitive. 9. The lack of a succession plan. We�re talking nepotism, power struggles, significant players being replaced by people who are in over their heads � all reasons many family businesses do not make it to the next generation. In life, you may have forgiving friends and relatives, but entrepreneurship is rarely forgiving. Eventually, everything shows up in the soup. If people don�t like the soup, employees stop working for you, and customers stop doing business with you. And that is why businesses fail.